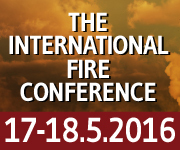 4th International Fires Conference 17-18 May 2016, Beit Hatothan – Zikhron Ya’akov, Israel. The two-day event is organized by the Israeli Artillery Association in cooperation with the IDF Ground Forces HQ and the Artillery Corps. The conference will discuss lessons learned from recent conflicts and future developments related to artillery and fires. It will focus on a range of themes including, missiles, rocket artillery and precision fires, air/ground coordination, deployment of static and precision networked fires, cyber aspects of modern weapons and more. 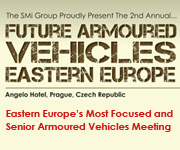 Future Armoured Vehicles Eastern Europe (AUVSI) 17-18 May 2016, Prague, Czech Republic. The Future Armoured vehicles event returns to Prague, featuring the development plans and armoured vehicle focus of Eastern Europe, with speakers from the military and MODs of Czech Republic, Slovakia, Estonia, Poland, Austria, Spain, Netherlands, as well as industry briefings covering the latest technologies. 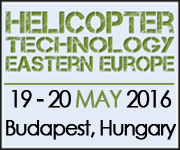 Helicopter Technology Eastern Europe 2016 returns for a second successful year, this time to Budapest, Hungary on the 19th and 20th May 2016. Last year’s inaugural event was recognized for excellence by many leading defence forces in both central and Eastern Europe and hosted more senior heads of Air Force and Helicopter Commands than any other event in Europe. As Central and Eastern Europe continue to be a key focus for defence equipment upgrades, the rotary fleet remains a key asset in both domestic and international military operations and therefore a focused conference is essential to ensure continued advancement of capability, equipment and joint interoperability. Asia Pacific China Police 20-23 May 2016, CNCC – Beijing, China. 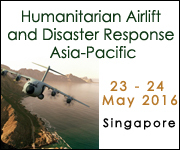 SMi’s Humanitarian Airlift and Disaster Response Asia-Pacific conference will provide updates on capabilities and requirements from national militaries for humanitarian operations, detailing how civil-military cooperation is enhancing the NGO response to regional humanitarian disasters. Furthermore, the two-day programme will also address what is being done to overcome the key challenges of humanitarian logistics and what role innovative technologies have to play in enhancing the disaster response. These topics will be addressed by military speakers, civil-military coordinators, regional logistic experts and disaster response organisations, therefore bringing together all key regional stakeholders for disaster response exercises. 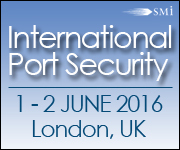 Security Israel 2016 24-25 May 2016, TLV Convention Center, Tel Aviv, Israel. 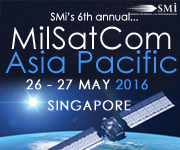 This edition of the MilSatCom Asia-Pacific conference will provide national updates on space and MilSatCom programmes and how the development of these programmes is satisfying current critical regional requirements. Interacting with delegates from across the globe and hearing from industry leading experts will ensure delegates are up-to-date with high priority information that enables you to best secure your seaports, civilians and means of trade. Topics to be discussed include terrorism, cyber security, resolving external threats, optimisation of technological systems, regulatory systems and change and case studies featuring some of the busiest ports from across the world. Our diverse range of topics will allow delegates to learn best practices for port security and understand further how other ports are resolving core challenges. 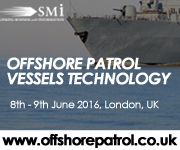 Offshore Partol Vessels Technology 8 – 9 June, London UK. This inaugural OPV Technology event will focus on the new potential for OPVs within this proliferation in combat and combat support technology capabilities. The event will discuss how individual nations are working to enhance the capabilities of their coastal fleets and highlight the prospect for future cooperation and interoperability. This two-day event provides a platform to discuss the implementation of new technologies such as simulated flight training and new advanced trainer aircraft into current pilot training systems for improved interoperability amongst regional partners, as well as conversion to more modern fighter jets in the wake of higher operational demands. These topics are of special importance to countries with smaller air forces, seeking to improve interoperability and maximise the effectiveness of small fleets of jet fighters. 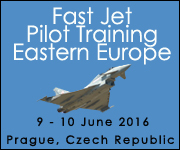 Prague is particularly suitable for this conference as the Czech Air Force has already announced it is actively seeking to establish an international training centre for regional pilots to meet that very demand with support from NATO by 2018. 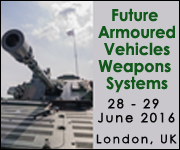 Directed Energy and Next Generation Munitions 20-22 June 2016, Hyatt Regency Fairfax, Fairfax, VA.
Future Armoured Vehicles Weapons Systems 28 – 29 June, London UK. Drawing on the operational and strategic experience of military experts, as well as the technical expertise of those at the forefront of industry and research, SMi’s Future Armoured Vehicles Weapons Systems conference shall explore the defining factors that contribute to enhanced lethality and fire superiority for land forces. An examination of emerging technologies in these key areas, ranging from the latest weapon systems, smart munitions, fire control and target acquisition, shall be combined with operational case studies and key programme updates from commanders and military project leaders, to develop definitive requirements and solutions for enhancing lethality. 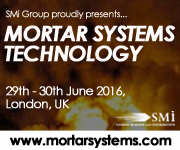 Mortar Systems Technology 29 – 30 June, London UK. This inaugural Mortar Systems Technology conference shall tackle cutting-edge mortar technologies, highlighting precision, range, lethality and manoeuvrability of mortar systems, as well as counter Fire technologies. This event, organized by SMi, will bring together opinion leaders from across the world to discuss the matters that truly matter in the realm of Mortar Systems.